“If you’re afraid of butter, use cream,” quipped famous chef and cookbook author Julia Child. When did we become so afraid of butter and why? Is that trepidation still justified or is butter now one of those foods, like eggs, that were thought to be evil but now have regained their favorable status? 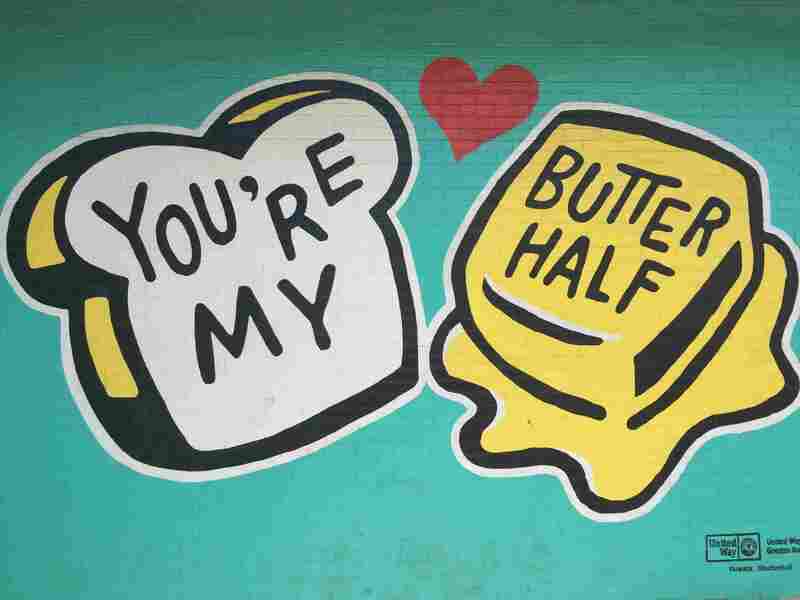 The battle between butter and margarine has been going on longer than most people realize. According to Elaine Khosrova, author of the book Butter: A Rich History, with the invention of the cream separator in 1878, butter production kicked into high gear. But butter was expensive and not regulated and soon, low-quality, often rancid butter that could be offered at cheap prices was commonplace. This set up the perfect scenario for the introduction of margarine into the marketplace. Margarine had been around since 1869 when Napoleon III offered a prize to the person who could concoct a cheap alternative to butter, more affordable for the poor and the military. The mixture—beef fat, milk and salt—never became popular in France but in 1871 the patent was sold in America to the U.S. Dairy Company. The margarine was boosted with yellow dye to make it look more like butter and it became a more appetizing alternative to the low-quality butter that was currently on the market. About a decade later, butter makers weren’t pleased with the growing popularity of margarine and even lobbied to have it banned. By the turn of the century, 30 states had banned margarine and the Federal Margarine Act tacked on a 2-cent tax to the product and hit those who made or sold it with large fees. As it did with many things, the Great Depression made the cost of butter out of reach for most of the masses but it wasn’t until World War II that the battle between butter and margarine finally came to an end. Because the United States lost most of its farm labor to the fighting in Europe, the government was put in the position of having to ration margarine and lift the restrictions on its sale and manufacture. Try as she might, even Julia Child couldn’t resurrect butter and its reputation. Then along came Dr. Ancel Keys who delivered the fatal blow with his Seven Countries Study, the research of which spanned decades and linked diet and eating patterns to cardiovascular disease. From this, the high-carb, low-fat movement was born. What’s so Bad About Butter? According to Keys’ Seven Countries Study, in the 1960s Finlanders consumed 22% of their energy from saturated fat, mostly in the form of butter. Study results linked a high dietary fat intake to a greater incidence of mortality from coronary heart disease. Similar results were found in the other six countries: Italy, Spain, South Africa, Japan, Italy and Greece. On the surface, butter’s stats are pretty grim. 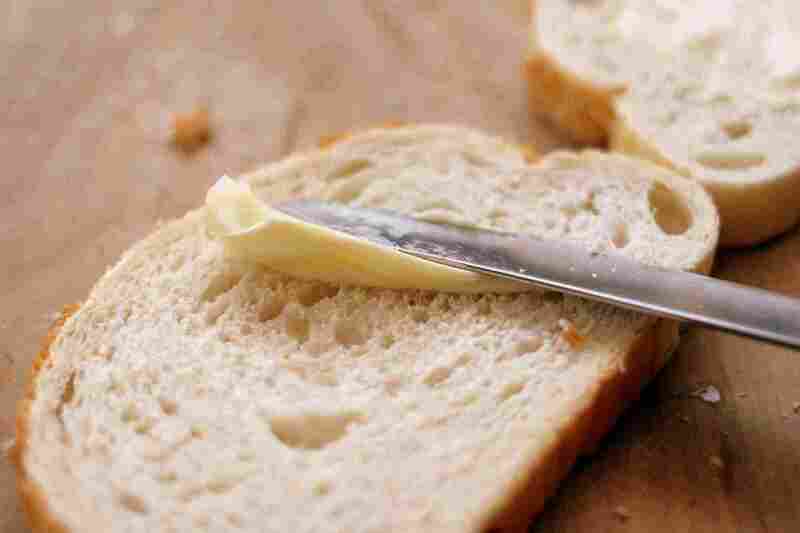 Butter is about 80% fat and it is very high in saturated fat (aka the bad fat), a whopping 70%. And it also contains about 25% monounsaturated fat. It has a very small amount (about 2.3%) of polyunsaturated fat (aka the healthy fat). 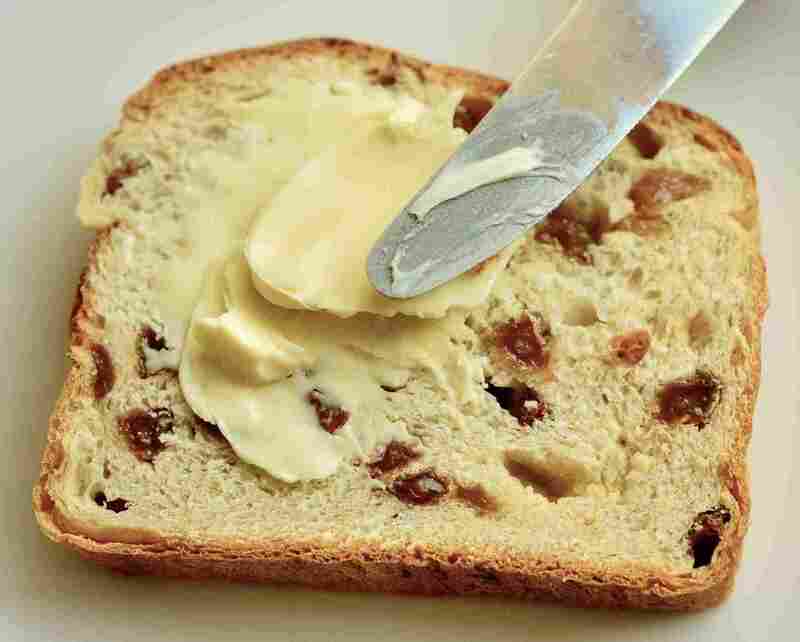 One tablespoon of butter contains 102 calories, with 69 coming from fat. The American Heart Association (AHA) considers butter artherogenic, meaning that can cause the body to form fatty plaque in the arteries. The build-up of plaque—artherosclerois—limits the flow of oxygenated blood to organs and other body parts. It can lead to heart attack, stroke and even death. According to the AHA’s June 2017 report called “Dietary Fats and Cardiovascular Disease: A Presidential Advisory From the American Heart Association,” the AHA continues to recommend that the public try to replace unhealthy saturated fats with healthier polyunsaturated fats. The advisory was based on the analysis of more than 100 published studies dating back to the 1950s. It is important to note that some replacements for butter, stick margarine specifically, are actually worse than butter because they often contain high levels of trans fat. Trans fat increases blood cholesterol, which can increase the risk of heart disease and actually lowers good cholesterol in the blood. Trans fat also can be found in partially hydrogenated oils, an ingredient in a myriad of processed food. What’s the Good News About Butter? The good news is that if you are already eating a heart-healthy diet, which according to the AHA is “vegetables, fruits, whole grains, low-fat dairy products, poultry, fish, legumes, non-tropical vegetable oils and nuts and you are limiting saturated fats, sodium, sweets, sugar-sweetened beverages and red meat,” eating butter in limited amounts is okay. 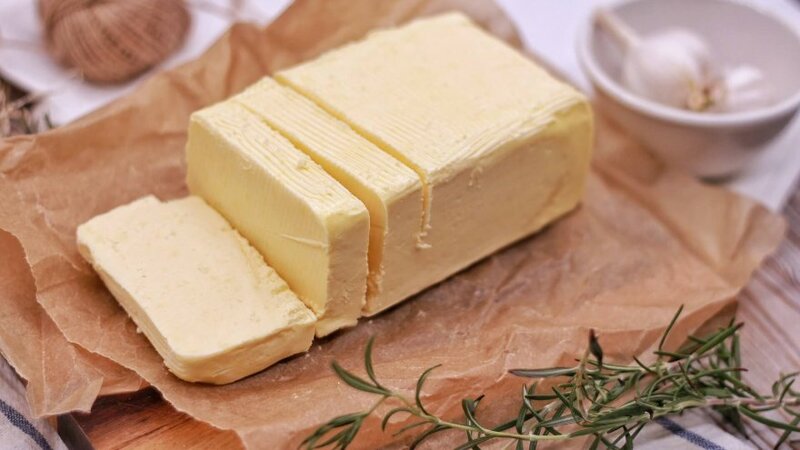 Despite its seemingly simple composition of about 80% fat, butter is one of the most complicated dietary fats, comprised of more than 400 different fatty acids, according to healthline.com. About 11% of them are short-chain fats, the most prevalent being butyric acid which is exclusive to the milk fat of ruminant animals like cows, sheep and goats. Butryrate, which is a form of butyric acid, has been linked to a reduction in digestive system inflammation and has been used as a remedy for Crohn’s disease. Also found in butter is ruminant or dairy trans fat, which is different from and healthier than the trans fat found in processed food. There also are a number of vitamins and minerals found in butter but because you don’t eat butter in large amounts, they don’t contribute much to your daily vitamin intake. One tablespoon of butter can provide 11% of the recommended daily allowance of vitamin A. Vitamins D, E, B12 and K2 also are found in butter. Atli Arnarson, PhD explains in his article “Butter 101: Nutrition Facts and Health Effects” that although eating a lot of saturated fat can increase blood cholesterol levels, “it is not necessarily the amount of cholesterol that is a cause for concern.” He further explains that the blood lipid profile (the type of lipoprotein cholesterol is transported in) is even more important. Consuming saturated fats can help the blood lipid profile by raising the level of HDL (“good” cholesterol) which is associated with a reduced risk of cardiovascular disease. Arnarson also noted that the relationship between saturated fats and cardiovascular disease has been a controversial topic for years. 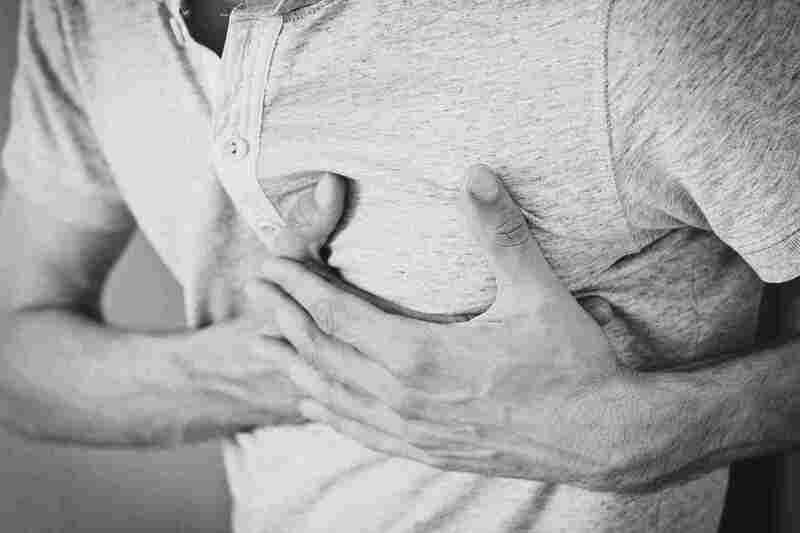 Studies do exist that have failed to corroborate the link between saturated fat and cardiovascular disease. Most of these studies have been undertaken using normal amounts of butter. So what is a normal amount of butter, the amount you can enjoy without derailing your healthy eating? The U.S. Department of Agriculture recommends that saturated fat consumption be limited to less than 10% of caloric intake per day. To be more specific, for a 2,000-calories-per-day diet, the recommended daily allowance is 6 teaspoons. Bon appetit!